How did the Trilogy started, where did Darth Vader come from, what was there before Luke. Star Wars - Episode I is where it all began. The evil Sith Lord Darth Maul learns the power of the dark side from his master Darth Sidious. 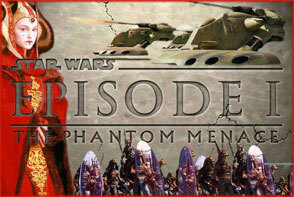 Together, they plot to destroy the Jedi and enslave the peaceful planet of Naboo.